Catch your first wave this weekend. 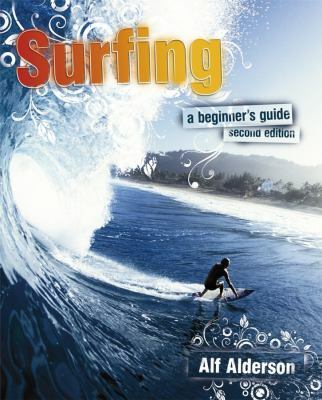 Alf Alderson, a seasoned surfer and award-winning journalist, takes you through all the essential steps; learn where and when to surf and how to surf safely. Discover the foundations such as choosing the correct equipment, essential to make any progress as a beginner; pre-surf preparation, including getting fit with tips and advice; and your first surfer steps on the beach and in the ocean. All of this leads you up to catching your first wave and hopefully catching the surfing bug. This stunning new edition features the talents of rising surfing star Flynn Novak and one of the world's top surf photographers, Sean Davey, Their combined efforts result in some breathtaking shots and mind blowing surfing sequences in Hawaii. Surfing includes the following: Equipment First Steps Care & Repair Safe Surfing Surfing Manoeuvres Whatever your aspirations and whatever your standard, surfing is one of the few sports that will bring you back to nature's greatest playground time and time again.Alderson, Wayne is the author of 'Surfing' with ISBN 9780470516546 and ISBN 0470516542.